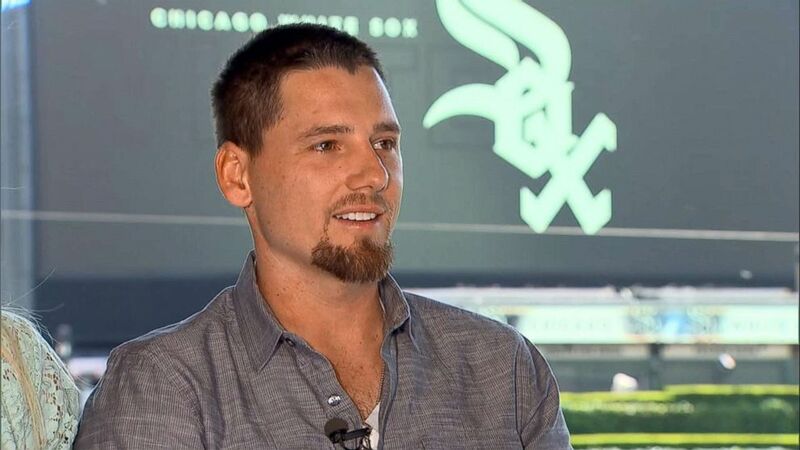 A ruptured aneurysm caused Danny Farquhar's brain to hemorrhage in the dugout. 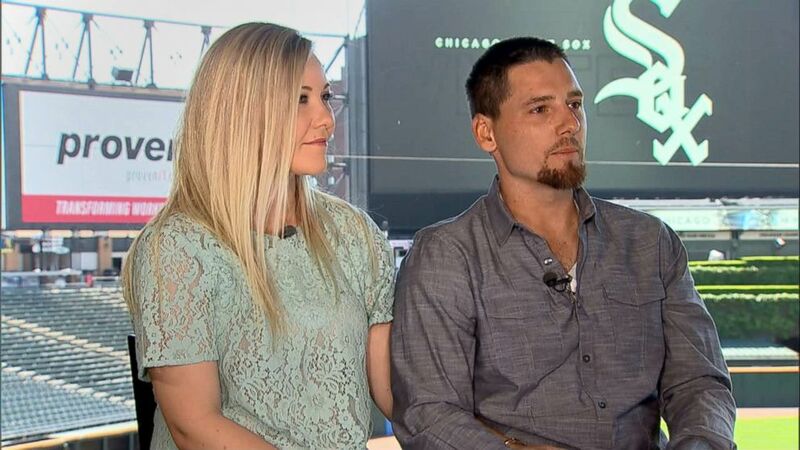 (ABC News) White Sox pitcher Danny Farquhar talks with ABC News, May 31, 2018, with his wife, Lexie Farquhar, following his recovery from a brain hemorrhage earlier this year. 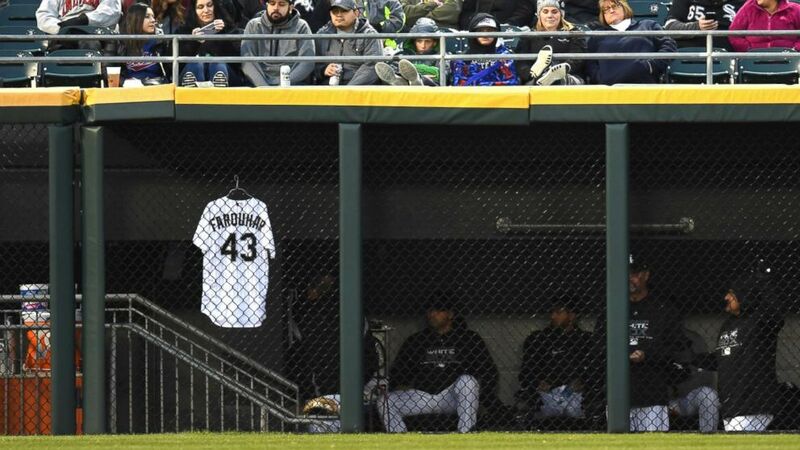 (Patrick Gorski/AP) Chicago White Sox relief pitcher Danny Farquhar's jersey is seen hanging in the outfield dugout during a game between the and the Houston Astros the Chicago White Sox on April 21, 2018, at Guaranteed Rate Field, in Chicago, IL. 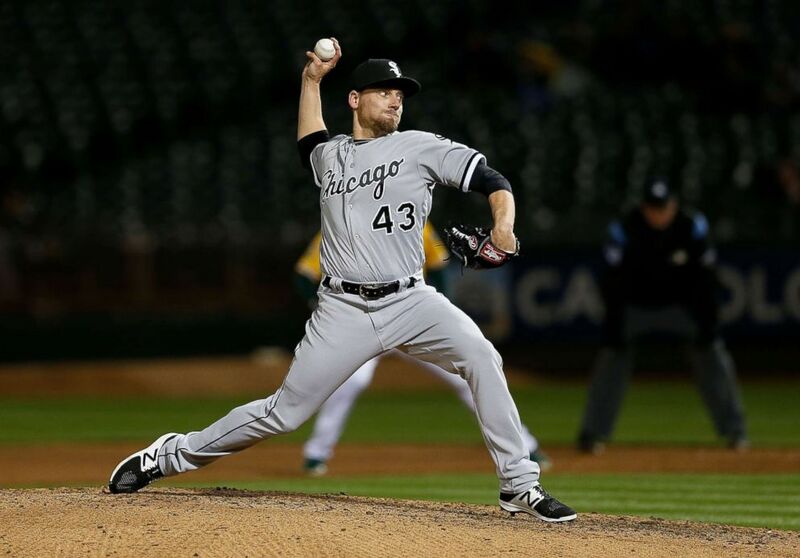 (Lachlan Cunningham/Getty Images, FILE) Danny Farquhar of the Chicago White Sox pitches in the seventh inning against the Oakland Athletics at Oakland Alameda Coliseum on April 16, 2018 in Oakland, Calif.
(ABC News) White Sox pitcher Danny Farquhar talks with ABC News, May 31, 2018, following his recovery from a brain hemorrhage earlier this year.